Zoosk and Match.com are two of the heavyweights in online dating. Match.com was the first official dating site on the scene, with over 20 years of experience. Yet Zoosk has taken online dating by storm with their Behavioral Matchmaking technology. So, who will win when the two go head to head? Neither of these sites include personality quizzes, making sign up a breeze. In fact, it takes under 10 minutes to get started on either one. Both sites use your sign up information to help build your profile. Zoosk allows you to sync with your Facebook profile, which can speed up the process too. Match.com includes a section where you can talk ‘About You’ and ‘About your Date’ as well as their deal breaker choices. 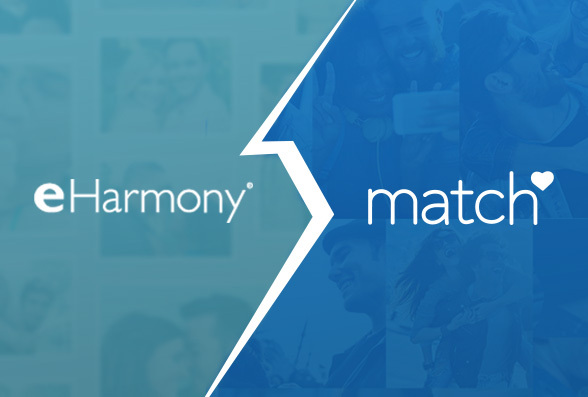 A narrow win for match.com here: they encourage users to make what they’re looking for clear from the get-go. Both Match and Zook offer competitive monthly price plans, which reduce in cost the longer you sign up for. Zoosk prices start at $12.49 per month, meaning they are the cheapest option overall. Match will cost you $20.99 per month for six months, but they do have the excellent Match Guarantee which means if you haven’t met someone in 6 months, you’ll get another 6 months free of charge. In terms of value for money they are both great options. Both sites are simple to sign up to, but match.com has a slightly longer profile build process. You might also find that Zoosk is simpler to use, because as you interact with users on the site your matches continue to improve. Both sites offer real-time notifications from their apps as well as email updates. Everything you need for both sites is found on the home screen. If you need any help they both have email support, but only match.com has phone support availability. 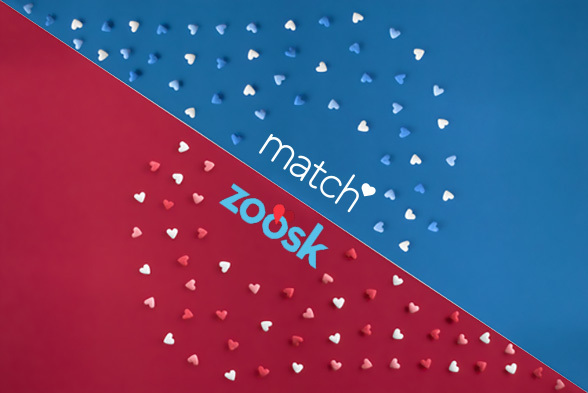 Zoosk and match.com both have instant messenger and inbox chat as their primary methods of member to member communication. You can see at a glance who is currently online to chat. Match.com also has a MatchPhone option so you can talk on the phone in a safe way. Zoosk has a specific messenger app that you can download to make online chat on the move a total breeze. We also love how Zoosk lets you create your own ice breaker questions to send to other members. Match.com wins on breadth here, with apps available for iOS, Android, Windows, Blackberry, and Palm. If you’re on one of the more mainstream platforms though, you can’t beat the Zoosk dating app - which has been rated #1 on the app store for dating. Both match.com and Zoosk have mobile sites, allowing you to access every aspect on the move. They also include GPS search and notifications so you never miss an interaction. There are a few ways to search on Zoosk, all with the help of Behavioral Matchmaking technology. You can swipe through singles on the Carousel, wait for your Zoosk pick - a targeted match most likely to suit you - or do a basic profile search by using Zoosk’s provided profile filters. Match.com offers SingledOut matches which are uniquely suited to you. They also have a great search tool that includes Reverse Search and Mutual Match, letting you save searches and utilize a helpful Keyword Search to narrow down the results. Safety is vital when it comes to online dating. Both Zoosk and match.com have an incognito mode, but using incognito on Match.com will cost extra to activate. Both sites also offer countless safety tips on site. The fact is that the verification tools that Zoosk offers are above and beyond what match.com has. They have countless ways to verify users, that they make feeling safe online second nature. 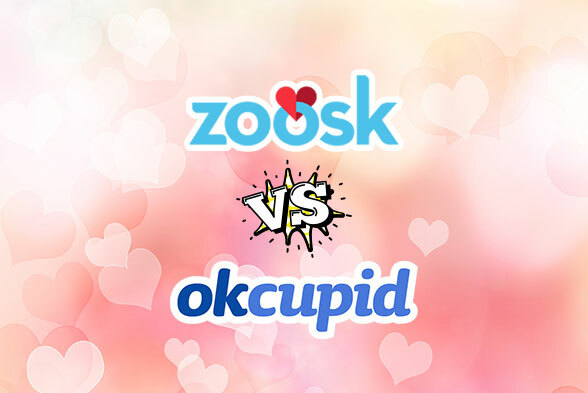 While match.com wins on a great profile build, the most options for narrowing the search and their industry leading Match Guarantee, Zoosk manages a solid overall victory here. They owe the win to their innovative verification tools, winning mobile functionality and communication tools.